Members are influential men and women of social standing in their local community. 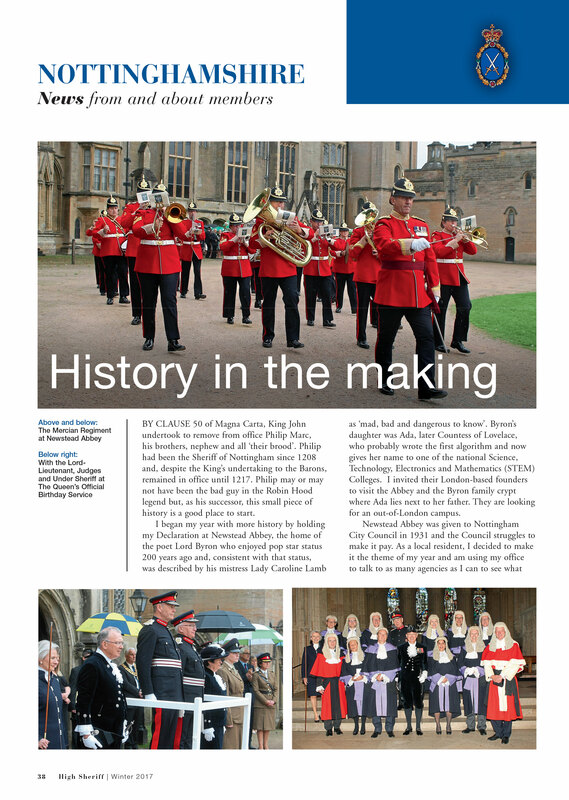 They use a wide variety of high quality and specialist services, especially during their term of Office as High Sheriff. Many past and present High Sheriffs manage or run their own business. 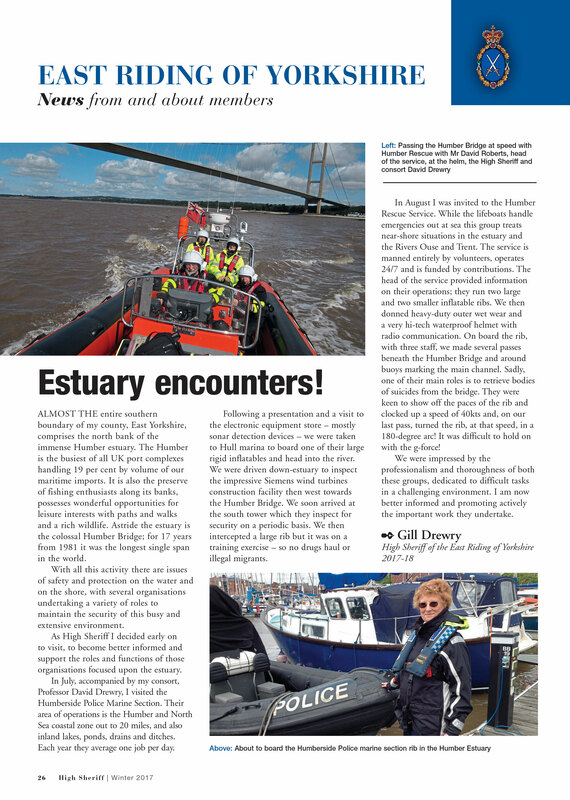 – Direct access to a highly affluent and influential group of readers who are of significant social standing in their local community. 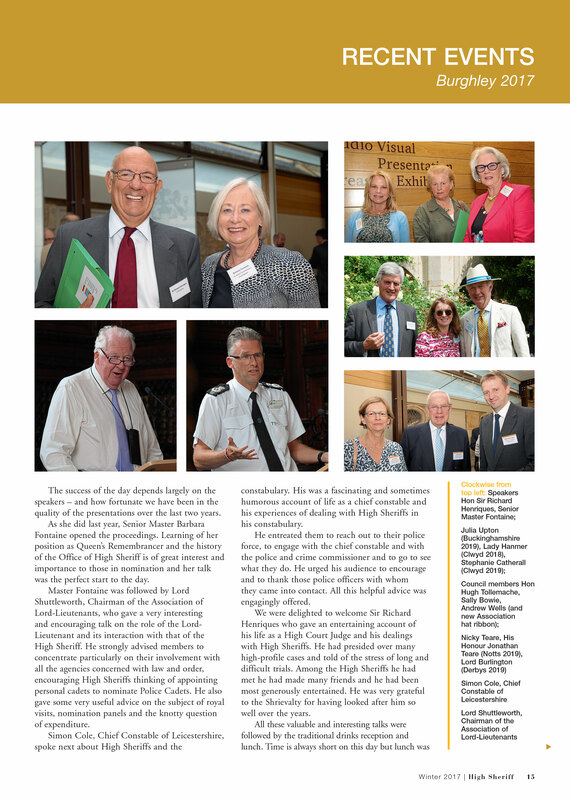 – Most past and present High Sheriffs manage or run their own business in: commerce; farming; and the professions and are connected to an extensive network of charities, local organisations and committees. 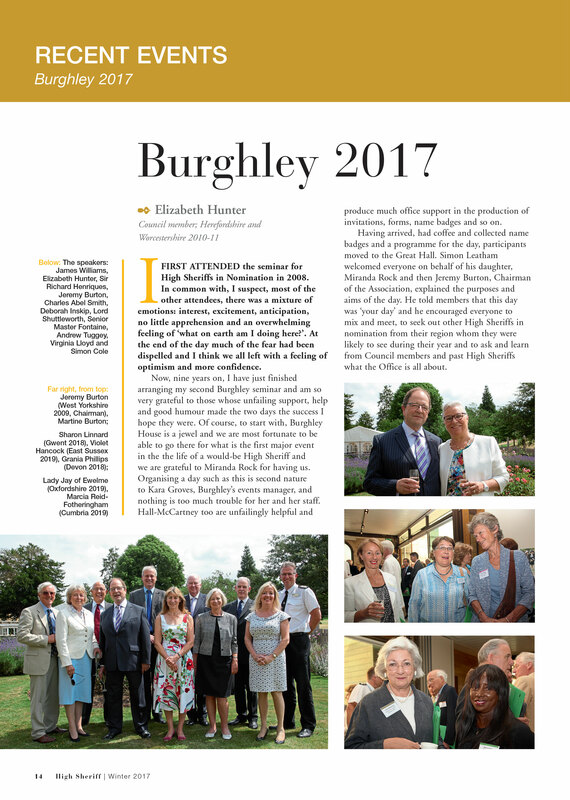 – The readers both use and purchase a wide variety of luxury services and materials, especially during their term of Office as High Sheriff. – Advertisers will be helping the Association’s two registered charities, which support local groups involved in crime prevention. Special positions (IFC, IBC, OBC) plus !0% to page rate. 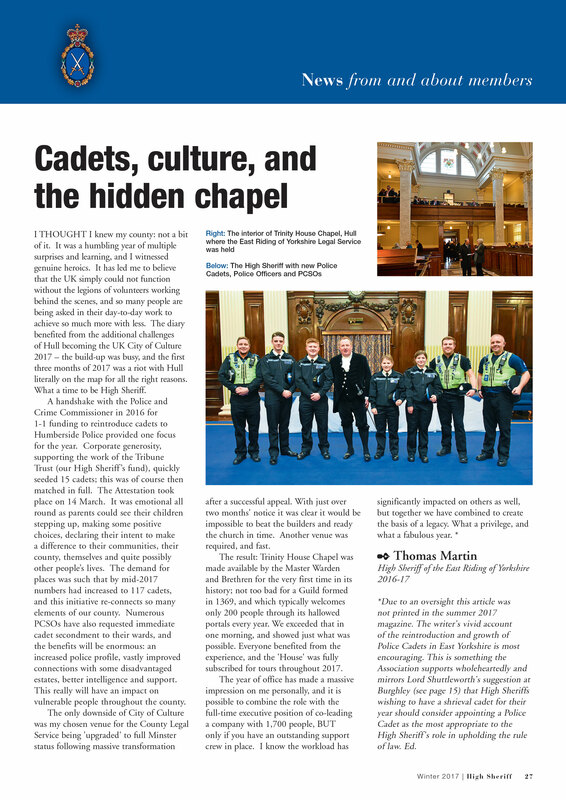 The High Sheriff magazine has a circulation of over 1400, comprising High Sheriffs both past and present, High Sheriffs in nomination, High Court Judges, Chief Police Officers (ACPO) and other prominent organisations and individuals. This presents advertisers with a unique opportunity to target this affluent and discerning audience. 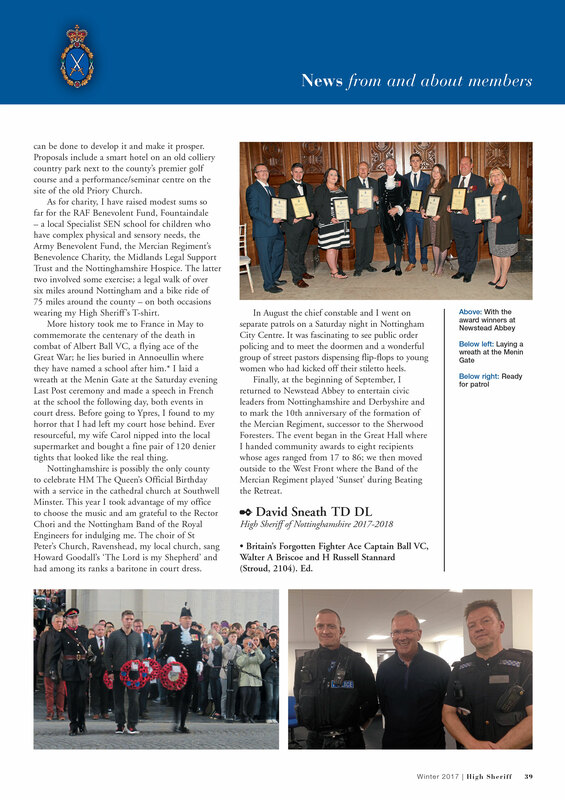 The Magazine provides members of the Association with essential news, reports and details of forthcoming events, as well as highlighting the aims and achievements of National Crimebeat, the Butler Trust Awards to Prison Service staff. High resolution ‘press ready’ PDF with CMYK images and postscript fonts embedded. An artwork and setting service is available but may be charged at cost. Click on the images below to view larger versions.